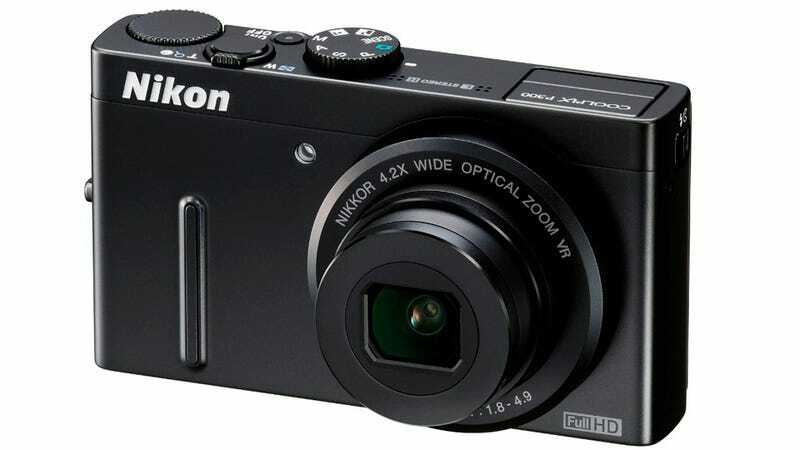 This is Nikon's answer to the Canon S95 pocket dynamo. The P300 pairs a 12.1-megapixel backside-illuminated CMOS image sensor (which picks up more light than a standard CMOS sensor) with a fast f1.8 lens. Max ISO is 3200. And it shoots 1080p video at 30fps. The P300's a little fatter than the S95, but if the photos deliver what's promised on paper, it's some extra bulge I can definitely handle. Other downside? No RAW photos, unlike its pro point-and-shoot competition. I'm guessing that's where they shaved off the feature set to keep it down to $330, around $70 cheaper than the S95. Also neat and sorta wild: The S9100 here uses a pretty similar 12.1-megapixel, 1080p-shooting image sensor and is almost as pocketable, but has a giant 18x zoom lens (25-450mm) stuffed inside its body. It has basically the same creature comforts as the P300, like an HDR mode and creative filters, and runs $330 too.